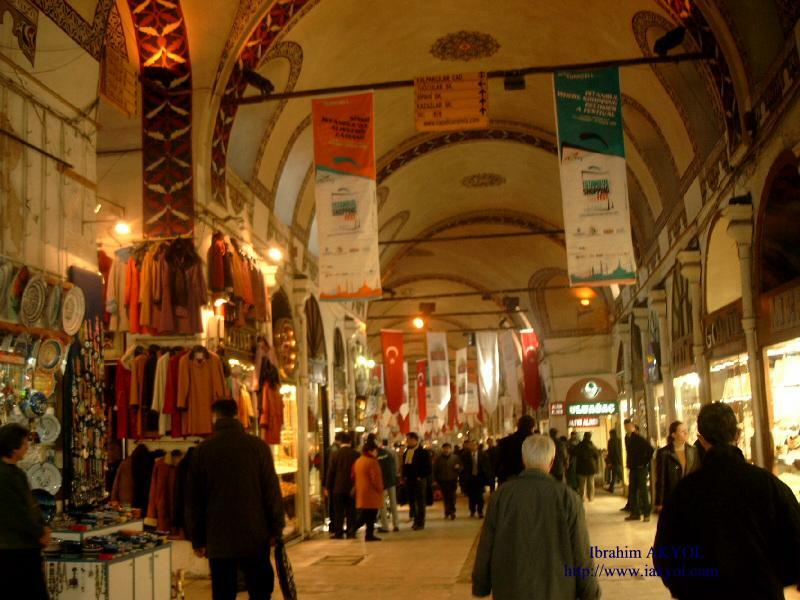 MobiCom 2012 will be held in August 22-26, 2012, in Istanbul, Turkey. Workshops will be held on Wednesday, August 22 and Sunday, August 26. 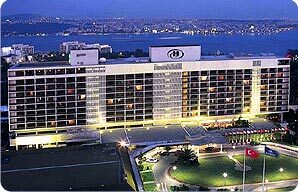 MobiCom 2012 will be held at the Hilton Istanbul. The Hilton Istanbul is located on the European side of Istanbul, within easy walking distance of Taksim and Nisantasi business and leisure districts and is just a 15-minute bus ride from the historic city center. To book your room, please follow this link. MobiCom has a room block with the Hilton Istanbul with special rates. The negotiated rate is 210 Euros per night including breakfast, all taxes and fees. The conference banquet will be held on Friday August 24th, 2012 at REINA (http://reina.com.tr/). To book your seat or purchase additional tickets, please email to Gamze Yalciner [gamzey incentatravel.com]. INCENTA: Mobicom 2012 Event Agency INCENTA provides transportation. You can contact Erkan Otag [erkanotag incentatravel.com] to make a reservation. TAXI: Taxi station is located in front of the main exit of both airports. HAVATAS Buses: From both airports to Taksim, HAVATAS buses provide transportation every 30 minutes. 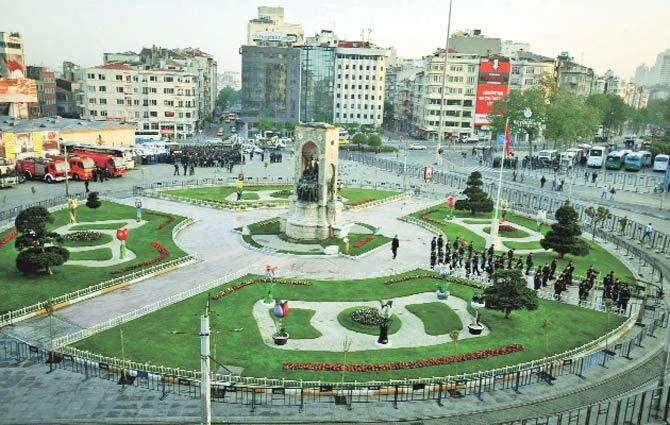 Hilton is 7 minutes walking distance to Taksim. More information can be found here. OTHER ALTERNATIVES: You can check here for alternatives. Extra city tours and excursions are available during the conference. For more information, please click here. To book a tour, please follow this link. All registered users who need a VISA letter should send their requests to supportletters@acm.org. Please include the conference name and your registration ID in the email. The MobiCom 2012 Conference Organizing Committee will provide travel support to as many conference attendees as possible. Travel support is expected from different supporting organizations. The application process is the same for all attendees. Priority will be given to under-represented and minority students. The exact number and amount of awards will depend on the availability of funds and will be determined as funding amounts are finalized. NSF funds may be used for travel-related expenses only and for students who are currently registering with US schools. A short letter describing the applicant's research accomplishments, and how attendance at ACM MobiCom 2012 will be beneficial. You must indicate whether you have an accepted/submitted paper, poster, or demo at MobiCom 2012 or one of its workshops (no more than 1 page). Applicants should email items 1 (CV) and 2 (application letter) above as a single PDF attachment. The advisor should email item 3 (supporting letter as PDF) with subject line: "MobiCom 2012: STG supporting letter for <student name>". The application and supporting letter should be emailed to: wwang @ ncsu.edu. The European Network of Excellence TREND - Towards Real Energy Efficient Network Design (http://www.fp7-trend.eu/) will support travel grants for students affiliated to TREND for the participation to ACM MobiCom 2012. All graduate students attending and presenting papers at ACM MobiCom 2012 and belonging to one of TREND's affiliated institutions will have the travel, accommodation and registration expenses fully reimbursed by TREND itself. Interested TREND students may refer to their internal TREND contact point (available at TREND's web site) for the reimbursement procedure and additional information. TREND is a Network of Excellence, coordinated by Politecnico di Torino, funded by the European Commission within the Seventh Framework Programme. TREND aims to integrate the activities of major European players in networking, including manufacturers, operators, research centers, to quantitatively assess the energy demand of current and future telecom infrastructures, and to design energy-efficient, scalable and sustainable future networks. 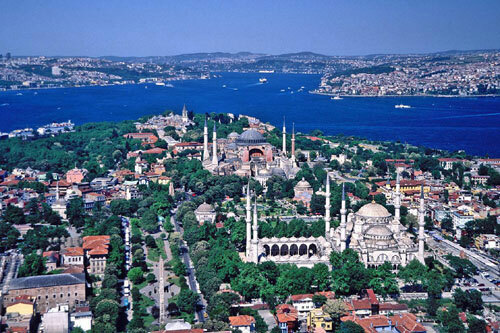 Istanbul is the largest city in Turkey with a population of 13.5 million. The city is at the center of the second-largest metropolitan area in Europe and among the world's largest cities by population within city limits. Istanbul served as the capital of the Roman Empire (330–395), the Eastern Roman (Byzantine) Empire (395–1204 and 1261–1453), the Latin Empire (1204–1261), and the Ottoman Empire (1453–1922). 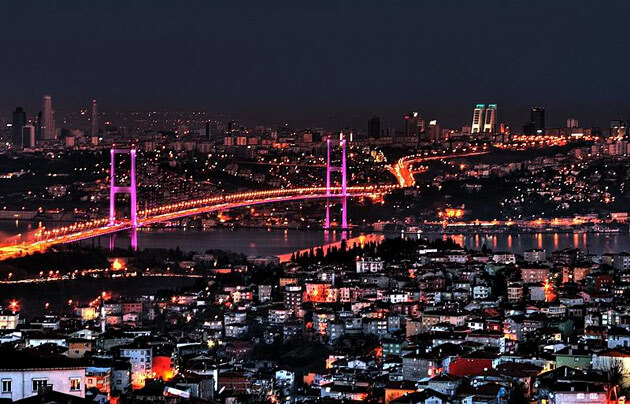 Seven million foreign visitors arrived in Istanbul in 2010, when it was named a European Capital of Culture, making it the world's tenth-most popular tourist destination. 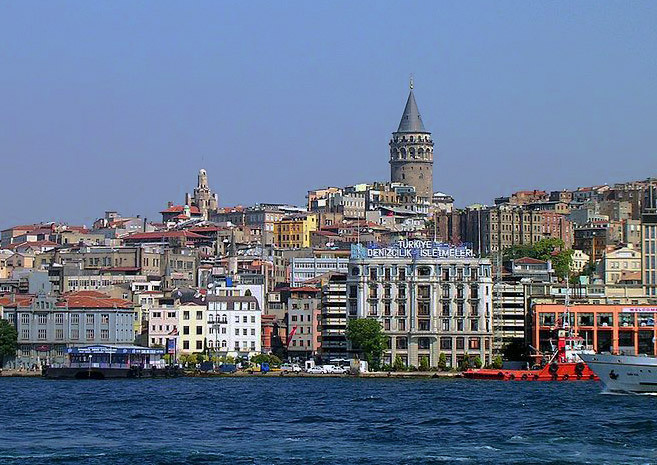 The city's biggest draw remains its historic center, partially listed as a UNESCO World Heritage Site, but its cultural and entertainment hub has moved across the city's natural harbor, the Golden Horn, to the Beyoğlu district. Considered a global city, Istanbul hosts the headquarters of many Turkish companies and media outlets and accounts for more than a quarter of the country's gross domestic product. Hoping to capitalize on its revitalization and rapid expansion, Istanbul is currently bidding for the 2020 Summer Olympics. 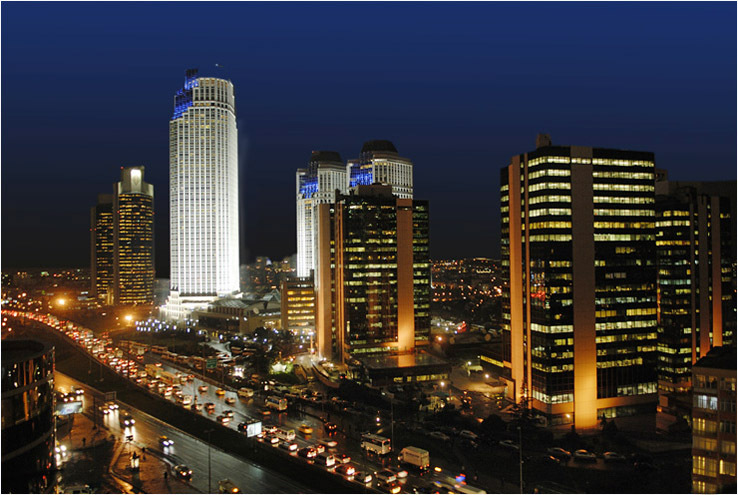 The Hilton Istanbul is located on the European side of Istanbul. It is 10 minutes walking distance to The Taksim Square, which is a major shopping and touristic neighborhood with its restaurants and shops. 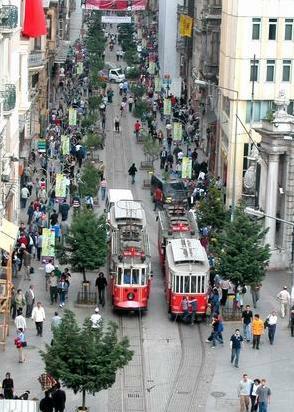 From the Taksim Square, you can go to the Old City by traditional trams. The Princes’ Islands are a combination of nine islands off the Asian coast of Istanbul, in the Sea of Marmara.